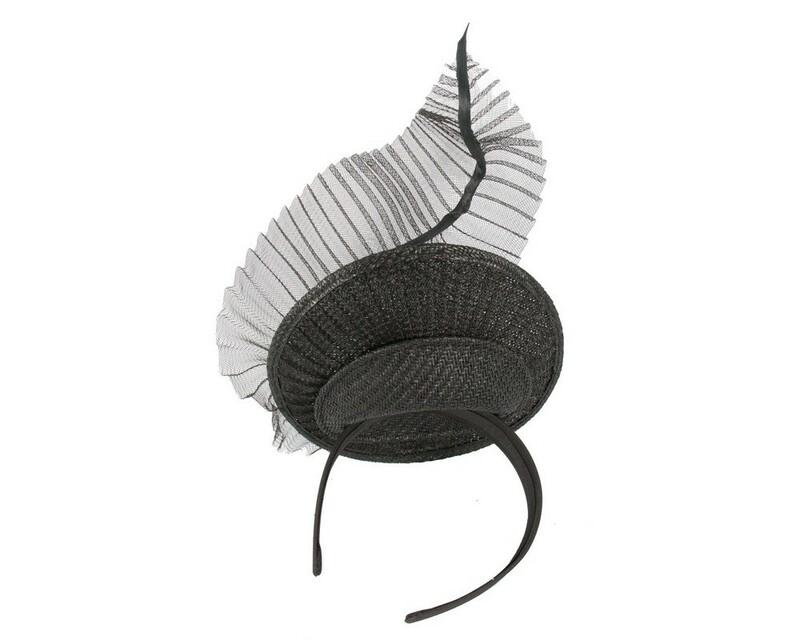 Designed and made in Melbourne by Fillies Collection, this elegant racing fascinator combines black base with tall black crinoline leaf. 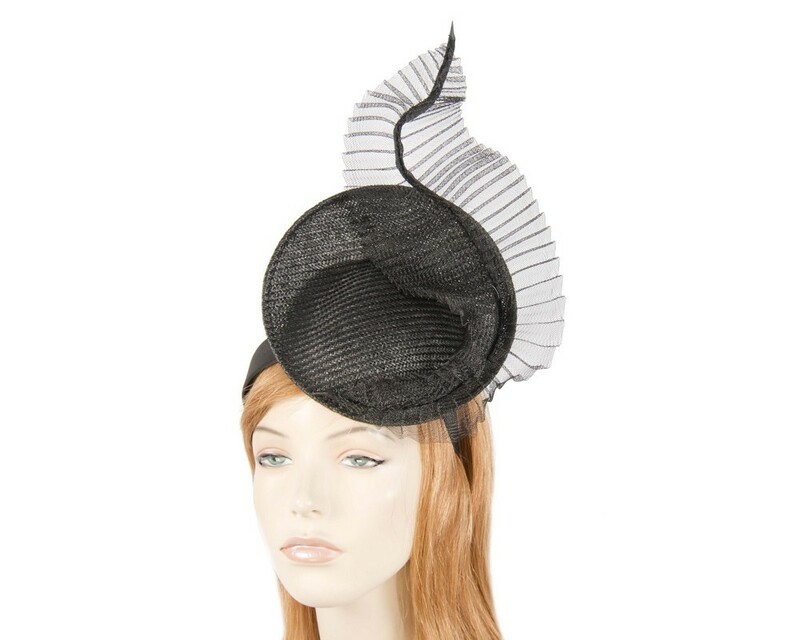 Perfect choice for any racing carnival. 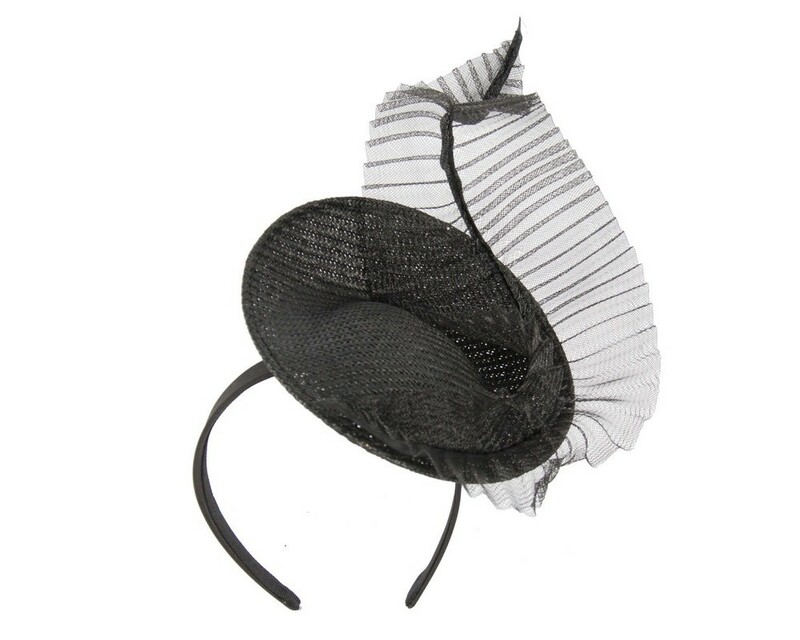 As each fascinator is made individually, please allow couple of days for creation of yours.